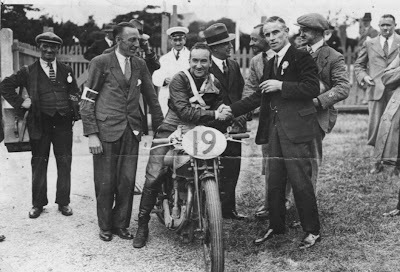 Stanley Woods on a Model 40, winner of the Junior TT. Joe Craig stands on the left. Roger: "The picture is 1932 as the check springs are present but plated. 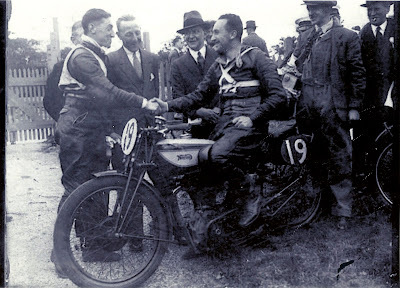 This was seen at the TT in 1932 but not 1933. Alf: "Another photo from a different angle; I wonder if it is Walter Handley shaking hands with him."